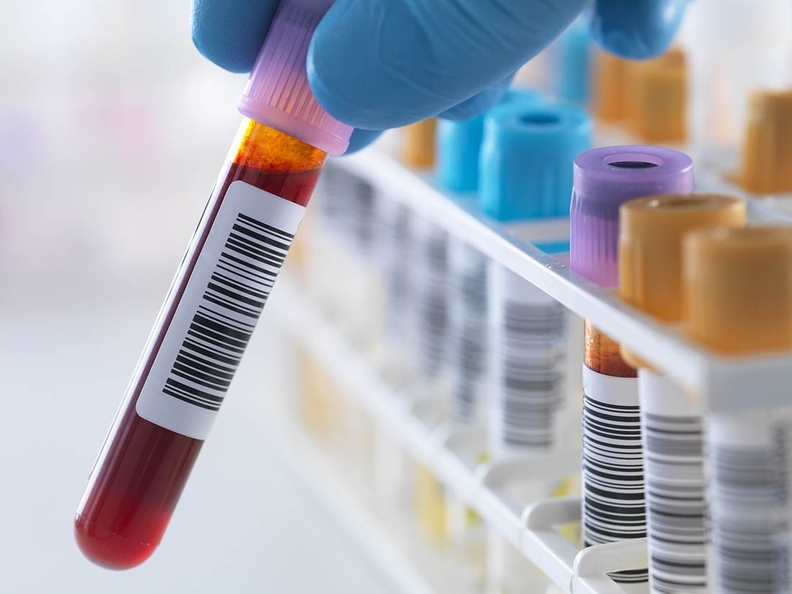 Quest Diagnostics and Laboratory Corporation of America battle vigorously for market share in the diagnostic lab industry. And in recent years, both companies have made significant strides in expanding their businesses by partnering with hospitals. But Quest has concentrated on acquiring health systems' labs, while LabCorp has focused on acquisitions that shore up its technology and the sophistication of its diagnostic services. Experts say the companies are on distinct paths that will shape the future of the industry's giants, who rank far above any other competitors. Quest's strategy will grow its core business of diagnostic services, while LabCorp's efforts are steering the company toward a future beyond clinical labs. Madison, N.J.-based Quest has focused on acquiring health systems' laboratory outreach businesses, which are labs that perform services for customers outside of the health system, often for patients seeking a lab order from a personal physician or a provider at a different health system. Quest has engaged in lab services deals with seven systems in the past two years, some of which have included outreach businesses, according to a February securities filing. Quest has struck deals with several major health systems, acquiring the lab outreach businesses of Hartford HealthCare and MemorialCare Health System, and agreeing to manage laboratory operations at seven Barnabas Health hospitals in Southern California. It moved its clinical trials laboratory services into a joint venture with Quintiles last year. When Quest manages a hospital's lab, it moves 20% to 30% of tests off-site to its own centralized facilities. Hospital labs perform these services at two to five times Quest's cost. The company can shave as much as 20% of a hospital's lab costs, said Cohen. Companies such as LabCorp and Quest have more sophisticated technology than most hospital labs and they tend to have more experience negotiating with both private and federal payers, who are paying less for lab tests these days. For many hospitals, labs are an increasingly unattractive service line amid growing cost and utilization pressures. Shortly after being appointed CEO in 2012, Steve Rusckowski identified a need for Quest to refocus on core diagnostic information services. Quest's hospital deals tend to be more diverse and complex, and therefore take longer to close, said David Nichols, president of Nichols Management Group, a York Harbor, Maine-based diagnostic lab consultancy. Quest's focus on acquiring outreach businesses' rather than hospitals' full lab operations is likely due to the fact that many hospitals aren't interested in giving up control of their inpatient lab operations, despite cost and utilization challenges. A limited number of health systems will outsource those services to companies like Quest. By comparison, LabCorp has branched outside of the core laboratory space and invested significantly in clinical trials and drug development with its $5.7 billion acquisition of Covance, as well as other specialty businesses, Cohen pointed out. LabCorp declined to comment on the story. Burlington, N.C.-based LabCorp has absorbed competitors, including Pathology, a lab known for its women's health services, and LipoScience, which makes specialized cardiovascular diagnostic laboratory tests. LabCorp recorded $128.6 million in acquisitions last year alone, and has spent about $5.8 billion in cash and equity of $1.8 billion on acquisitions since 2010, most of which can be attributed to Covance. Most of the company's hospital deals resemble a partnership model, Nichols said, where they agree to manage a lab by placing their own manager. He said these deals have often focused on hospital reference labs, which receive tests from throughout a system. LabCorp is more disciplined than Quest in its evaluations of potential M&A targets, said Brian Tanquilut, a stock analyst covering healthcare services at Jefferies & Co. But the company is also clearly different from Quest in that it sees a life beyond clinical labs. “I think it's just a total difference in strategy,” Tanquilut said. “(Quest) honestly believes that you can drive volume growth by going after the hospital opportunity ... (LabCorp has) a broader view of the world in terms of deal sourcing, whereas Quest is primarily still a lab business." Health system labs are ripe for the picking because many are seeing a steady flow of referrals and volume following consolidation. But Nichols cautioned providers against rushing to sell their lab outreach businesses – a sale will generate quick cash, but the cost of tests within the system will go up significantly, as the lab would still require the same equipment and a similarly sized staff, despite lower volume. Labs have relatively high fixed costs and low variable costs, so they're difficult to downsize, he said. Nonetheless, the efforts made by both companies to take control of hospital labs should send health system leaders a clear message: bolster your laboratory service lines, make them efficient and competitive, or divest them and exit the lab business.